The towers of the bridge are 1⅝ inches (41.275 mm) farther between the tops than at the base. The curvature of the Earth needs to be taken into account because the project extends on a relatively long distance as well as upwards. The height of the towers is 693 ft (211 m), and they are 4,260 ft (1,298 m) apart. 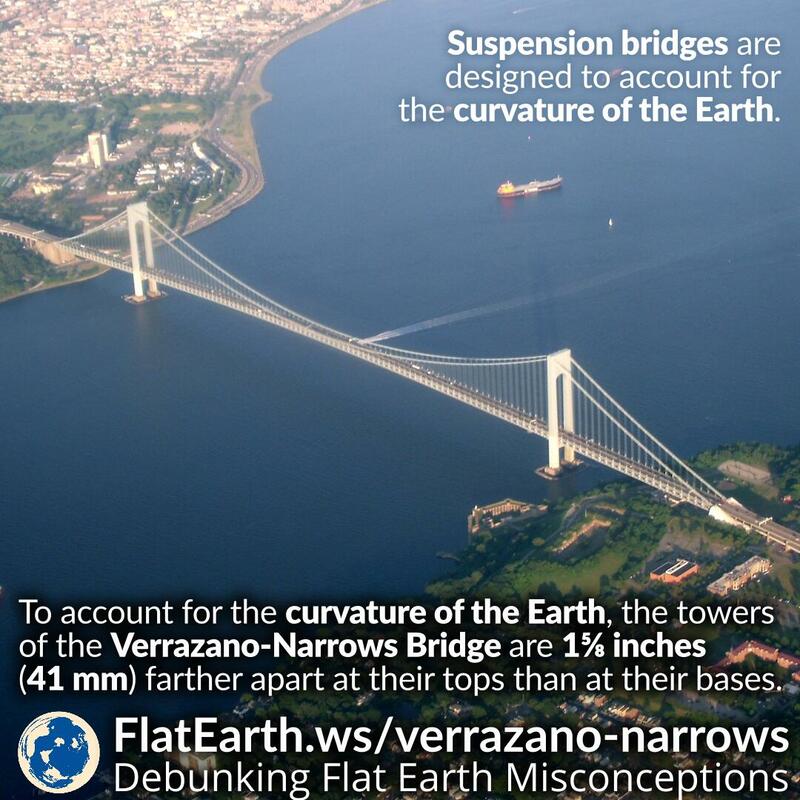 If the curvature of the Earth is not taken into account, then the two poles would not be straight towards to the center of Earth’s gravity, and the bridge will not be able to support itself properly. The cables would have to support some of the weight of the towers, as well as the load from the passing vehicles.